Swine flu (H1N1) prevention starts with proper hand hygiene! Hand sanitation for swine flu prevention begins with proper hand hygiene. Clean, short fingernails are absolutely essential for good hand sanitation because organic material can easily hide under fingernails. 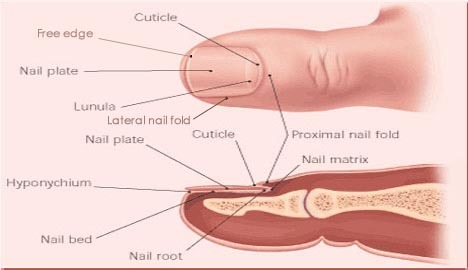 The circled hand in the picture above is a good example of good nail hygiene! • Is ‘hand hygiene’ still the best strategy for swine flu prevention? • ‘Hand-to-face touch’ is a crucial link to catching swine flu! • Hand washing is a defence, but may not stop the swine flu virus! • More reports on hand hygiene! • Discover the basic principles of proper hand hygiene!